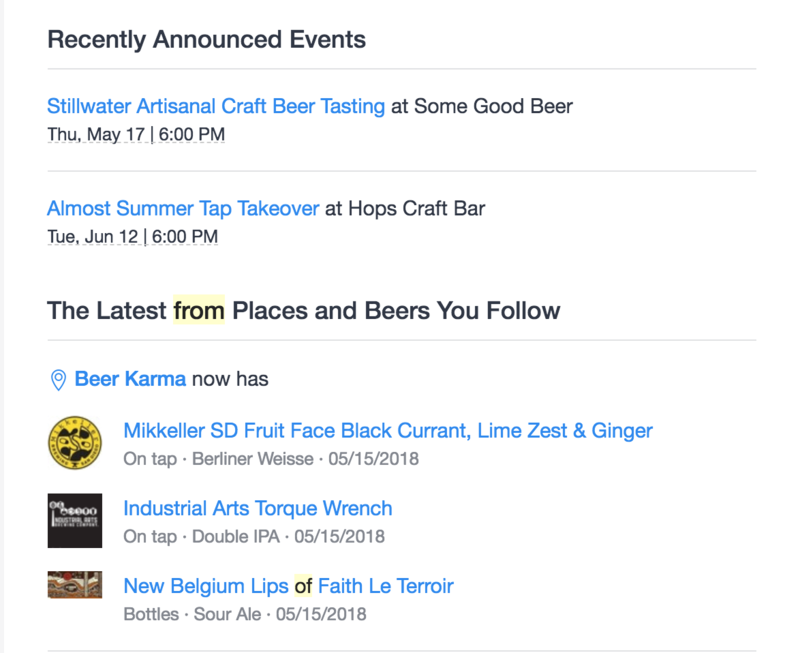 BeerMenus helps you bring in local customers, and one of the big ways we do that is by sending notifications to local drinkers. But what in the heck is a notification and how is it helping your business? The easiest way to think about notifications is that they're an automatic way to get inside the phones of local drinkers. 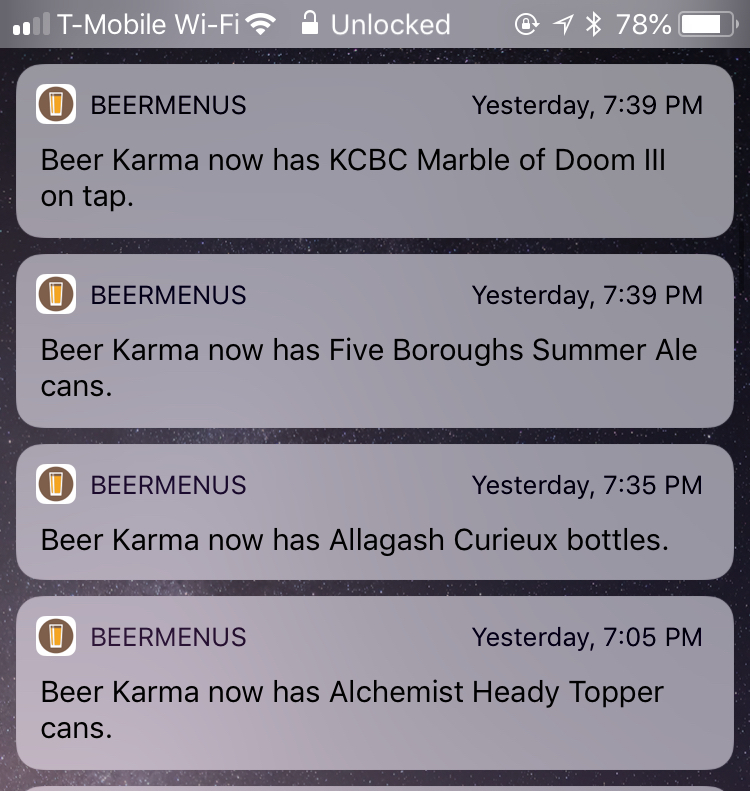 Every single update you make to your BeerMenus account automatically triggers notifications to two groups of consumers in one of two ways. Every single beer you add will send notifications, they go to two categories of consumers(and they can overlap!). The first group follows your business, every update you make these people receive. They're your regulars and biggest fans. You probably know them! And if you've got regulars who aren't following you, or folks who just love the beer program you have, encourage them to follow you. It'll bring them back into your establishment faster and more frequently. The second group follows the individual beer that you've added to your menu. They'll only get alerted for that individual item, but since they've chosen to follow that beer, they're highly motivated to come in and get it from you!